These hot air balloon flights are over an hour long, sometimes much longer, depending on a combination of factors including wind conditions and landing areas. We will travel 10 to 15 miles at altitudes typically between 500 ft and 4000 ft above the Tucson area. 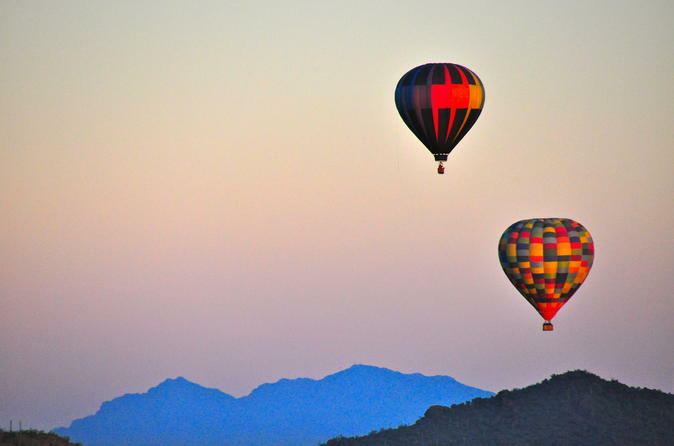 We fly seven days a week during the Tucson ballooning season. Tou is limited to a maximum of 8 travelers.